Clark Walkie 6,000 – 8,000 lb. Clark Walkie-Rider 6,000 – 8,000 lb. 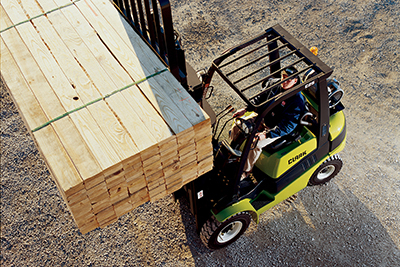 Clark Forklifts manufactures a full line of cushion and pneumatic tire forklifts from 1,500 to 18,000 lb. capacity in both electric and LPG gas or diesel. Clark’s line includes warehouse products including walkie pallet trucks, order selectors and reach trucks. For the past nine decades, CLARK has been one of the industry’s most progressive and responsive manufacturers, continuously seeking innovative ways to improve product, expand service and provide value to its customers. 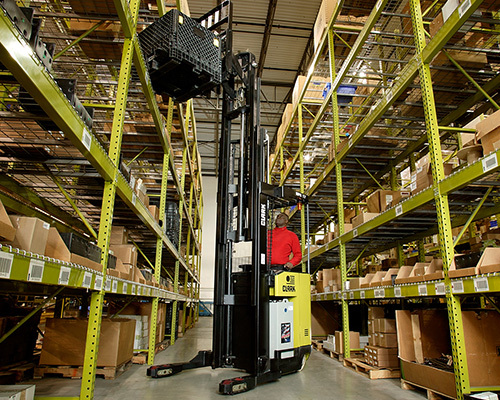 CLARK Electric Sit-down Forklifts are ideal for demanding manufacturing and distribution applications. They have superior ergonomic design, operator comfort and safety, and outstanding truck performance backed by the oldest name in lift trucks. Available models listed below. CLARK’s LPG cushion tire forklift trucks are designed for distribution, manufacturing and warehousing of all types, are suited for the toughest applications. See the model selection below. 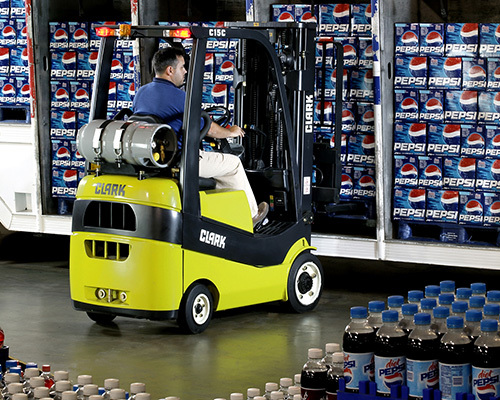 Clark pneumatic tire forklift models are designed for distribution, manufacturing and warehousing of all types. They are suited for the toughest applications, including outdoor applications. See model listing below. 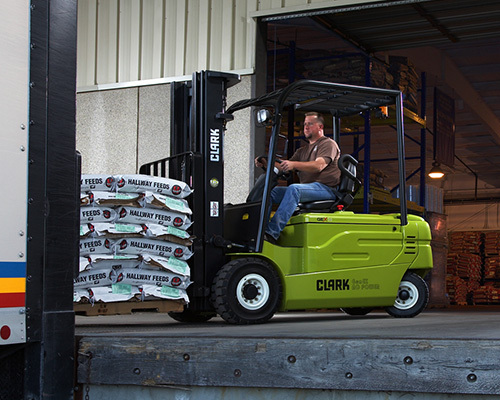 Clark offers a full line of warehouse products to boost your productivity. See products below. Order today. Call 419-531-6110 or email us. New and used forklifts.Click here to learn more about our brands. Newer model forklifts are ready for rent. Learn more. The best way to keep your forklifts in good shape. Ask our Service Department. Warehouse racking, rack repair and more. Click here.